Sector #12 with Cassegrain – Live, Glasersfeld & Kavaro. Sector #12. Oct. 17th 2014. Artheater Cologne. 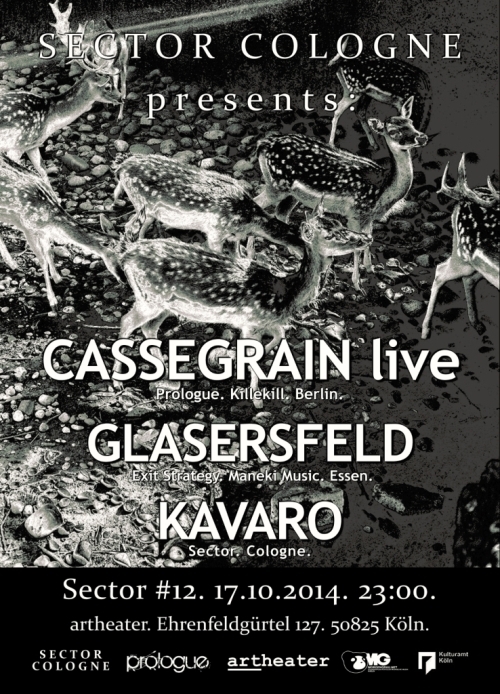 Cassegrain – Live / Glasersfeld / Kavaro. Kavaro’s starting set at Sector #11.